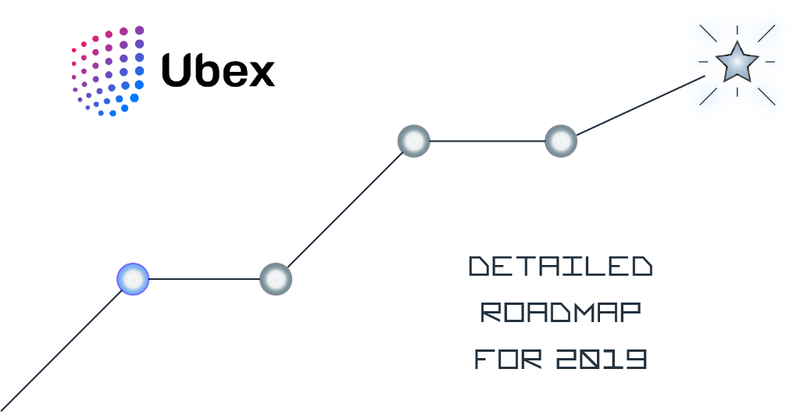 The Ubex projects is pleased to present the extended and detailed roadmap of its development for the year 2019. In February 2019, the project launched its data mining application. The application, which can be installed on the websites of webmasters and publishers, can be used to mine user data and share it with the Ubex mainframe server for UBEX Tokens. Ubex pays for data on new users that data miners and webmasters can generate by installing the Ubex counter on their websites. Such a counter will generate significant passive income, as advertisers are interested in users from countries they are targeting. The Ubex project is ready to start paying 250 UBEX Tokens for each 1000 new users mined from websites once the miner platform is launched. 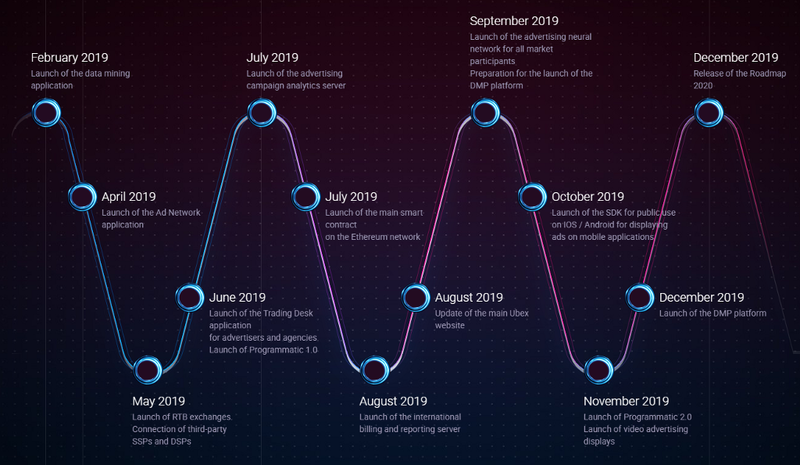 In April 2019, the Ubex project will be launching the Ad Network application. This application will enable webmasters and publishers to start connecting their sites to the Ubex advertising network.